In the past, we’ve noted that business owners who show an understanding of and engage through social media set a great example for their teams and customers. Yet, only a minimal percentage of CEOs are actually active on social platforms. If you’re still having a hard time convincing execs that social media matters, perhaps this statistic will help. A new survey found that 75 percent of the world’s heads of state have a presence on Twitter. The Digital Policy Council (DPC) evaluated a total of 164 countries as part of its annual study. It found that 123 of them have a head of state that’s on Twitter, either with a personal handle or an official government one. That’s a pretty significant jump from the previous year in which only 69 out of 164 were present. 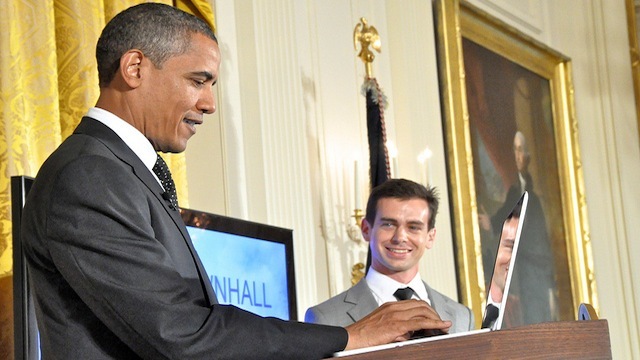 President Obama “maintained the top spot” among world leaders on Twitter in terms of followers. He currently has more than 25 million, having added 15 million during this past election year. Venezuelan President Hugo Chavez comes in second, having added two million followers in 2012. While heading up a company doesn’t compare to running a country, this study demonstrates the tremendous growth social media has had over the past year. More industries are adopting the medium, and pretty soon (if not already), it will become imperative that you do as well. To get started, take a look at our tips on how to create a fearless social media strategy in 2013.